Paul Manafort is nearly doubling his time behind bars -- another judge just sentenced him to an extra 43 months ... which will shake out to about 4 more years in the pen. President Trump's former campaign manager went through his second sentencing Wednesday in D.C., where a judge presided over the criminal case Robert Mueller's office prosecuted. Manafort got an additional 43 months in prison ... on top of the tax and bank fraud sentence he got last week. You'll recall ... Manafort got 47 months in that matter. This additional time will bring his full prison sentence to 7 1/2 years. This second case includes 2 conspiracy charges. Federal prosecutors accused Manafort of witness tampering and obstruction of justice after he was released on bail ... saying he urged 2 witnesses to commit perjury in his defense. That got him sent back to the slammer, where he's been ever since last June. For the record ... Manafort pled guilty to the 2 conspiracy charges. Manafort reportedly apologized for his crimes as he read a statement from his wheelchair, and begged the judge to "let my wife and I be together." He reminded the judge that he is about to turn 70, and his wife is 66. 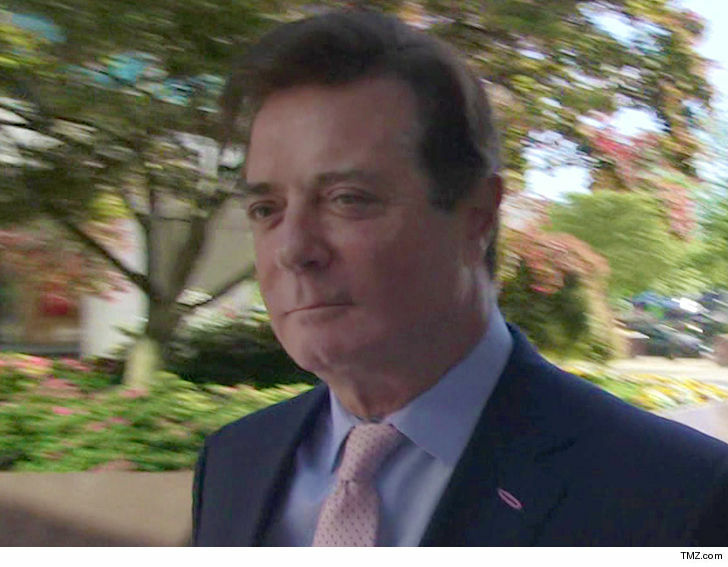 Manafort was reportedly sentenced to 60 months of count 1 -- 30 months of which will run concurrent to the time sentenced last week -- and another 13 months on count 2, which will be served consecutively. Next articleIs Stevie J Saying Goodbye To 'Love & Hip Hop' For Good? Is Celebrity Advertising Worth Celebrating?